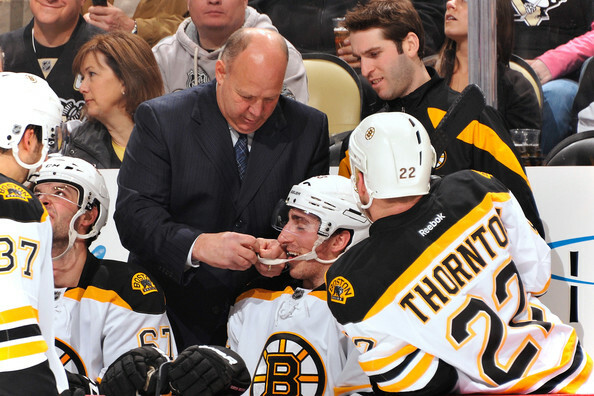 The Boston Bruins announced a multi-year extension with head coach Claude Julien today. Terms of the contract were not released per club policy. Julien has been behind the Bruins bench for the past five seasons. Julien’s Bruins have posted winning records every year of his tenure. This includes three Northeast Division Championships and winning the 2011 Stanley Cup Championing to bring the Stanley Cup back to Boston for the first time since 1972. This is a great extension for the Bruins. Julien is a great coach that has been able to succeed under the pressures of the Hub of Hockey. His feisty attitude on the bench has inspired the franchise to the highest level of play in recent years. Julien has been able to connect with the players to get the most out of them. Expect the Bruins success to continue under Julien as they search for another Stanley Cup Championship. The Bruins will count on Zdeno Chara, Patrice Bergeron, and Milan Lucic for leadership and production in the near future while Julien works with younger players Tyler Seguin, Brad Marchand, Dougie Hamilton, and Tuukka Rask among others to develop them into high-caliber, talented hockey players. This entry was posted in News, Trades, & Signings and tagged Boston Bruins, Brad Marchand, Claude Julien, Dougie Hamilton, Milan Lucic, NHL, Patrice Bergeron, Tuukka Rask, Tyler Seguin, Zdeno Chara. Bookmark the permalink.